But what are the barriers to transradial access adoption? Another barrier to adoption the authors identify is the risk-treatment paradox, which describes how high-risk patients often receive less intensive treatment. “Although radial access is associated with less major bleeding and improved short-term death outcomes, it is clearly not used more in patients with higher bleeding risks,” say the authors. 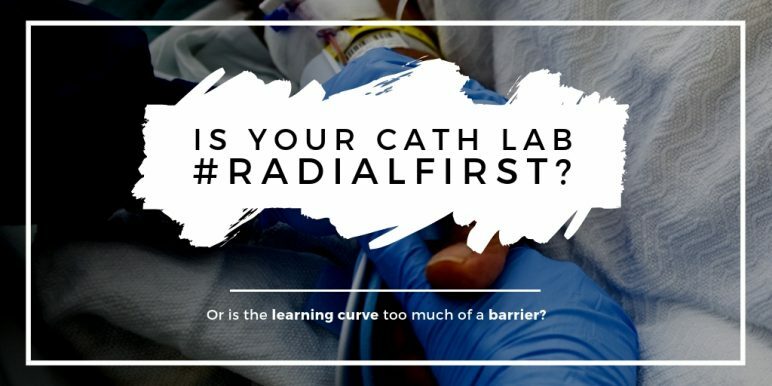 Making radial access the default overcomes this paradox—hence the popularity of the #RadialFirst hashtag on Twitter. “The best outcomes from TRI are achieved by operators who are proficient with the radial approach and use it as the default access in all patients, thereby avoiding the risk-treatment paradox,” say the authors. Has your lab made the switch to transradial access? With a weight of evidence on the side of transradial access, as opposed to femoral access, and a relatively shallow learning curve, has your lab made the switch to using transradial access as the default approach? What barriers do you see to radial access? Is volume an issue? Is there a learning curve for the whole team? Leave a comment! Previous PostTAVR Volume Requirements Spark Continued DebateNext PostShould CT Coronary Angiography be a First-Order Test? We have been radial first for many years now at Heart Hospital of New Mexico, in fact we are one of the training sites. We do probably 95 to 98 percent of our procedures radial. First, the interventionists had to be on board with it and next the staff. There was a short span of several months for the interventionists to be comfortable and efficient with radial access and engaging coronaries with this approach. Also, the staff had to be on board with the radial prep and we always have groin prep as a back up. There was definitely a learning curve, but not too long. Overall, it is a better less complications and easier on the patients.